Her fall began when Dale Earnhardt Jr. made his move, but his last-ditch effort wasn't enough to catch his Hendrick Motorsports teammate. Johnson, who raced past defending NASCAR champion Brad Keselowski on the final restart, had pulled out to a sizable lead and nobody could catch him. He wasn't challenged over the final six laps and cruised and added another 500 title to go with his 2006 victory. 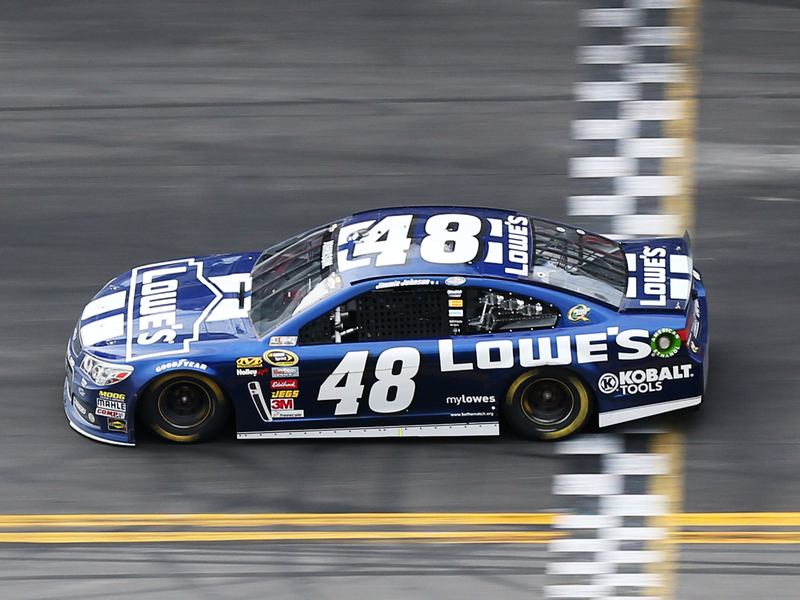 This time crew chief Chad Knaus can enjoy it  he was suspended by NASCAR for the first victory. Patrick, the first woman to start from the pole at NASCAR's top level, was clearly disappointed with her finish. But she admitted she wasn't sure what move to make if she was going to try for the win. "You know I kept thinking about it the whole time," she said. "You spend a lot of time thinking about what you're going to when that opportunity." The next accident  involving nine cars  came 105 laps later and brought a thankful end to Speedweeks for Carl Edwards. He was caught in his fifth accident since testing last month, and this wreck collected six other Ford drivers. The field suddenly had six Toyota drivers at the front as Joe Gibbs Racing and Michael Waltrip Racing drivers took control of the race. But JGR's day blew up  literally  when the team was running 1-2-3 with Matt Kenseth, Denny Hamlin and Kyle Busch setting the pace.